My phone finally went to Ice Cream Sandwhich (Android 4.0). It looks sharp and runs extremely smoothly. Scrolling through huge lists actually works as you would expect it to. Awesome, right? Wrong (well, mostly right, but for the sake of Zadatak, I’ll be dramatic). 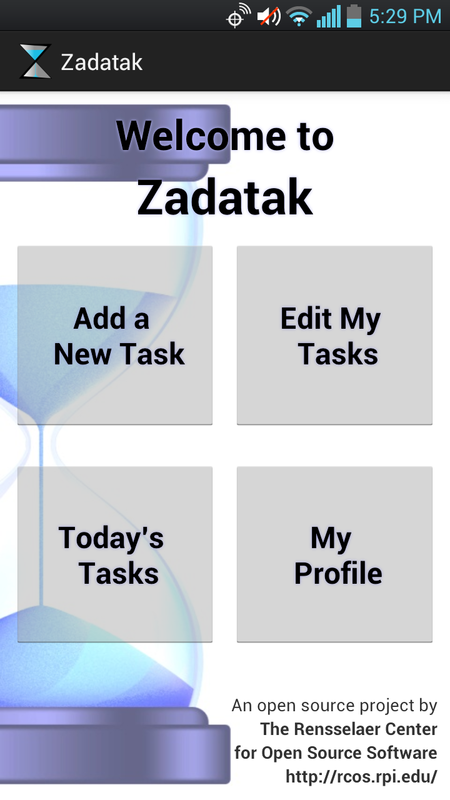 I knew how drastically different things could look among phones with different resolutions, but I never expected the drastic difference in the appearance of Zadatak between Android OSs. 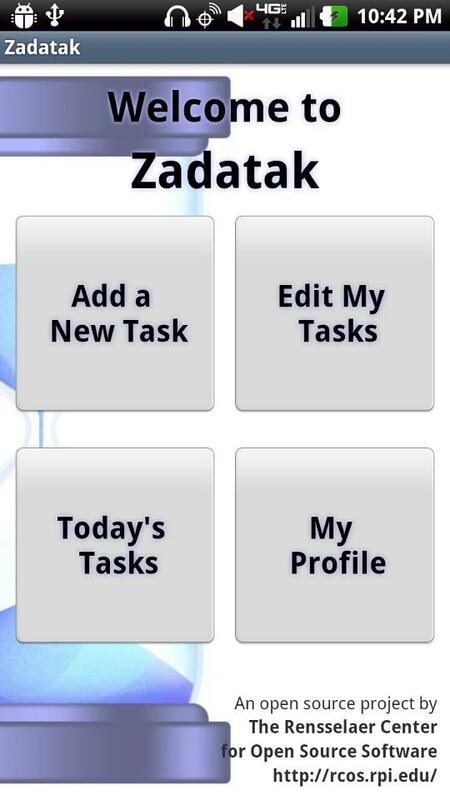 So here is Zadatak as it was on my phone before the change of operating systems. Notice the rounded edges on the OPAQUE buttons. These are the standard buttons with no change to the background color (any change results in non-gradient and perfectly squared buttons). Now this is the same code, on the same phone, just running Android 4.0 / ICS. Notice how the title bar actually contains our logo? Looks great. But, the buttons are transparent, and the edges are squared as opposed to rounded. It looks too messy! I’m not sure what to do about the transparency, except to hard code the color for the buttons as #FF—— as that specifies pure opacity, but hard coding the color gives away any chance to regain the nice rounded edges. I think this means I am going to have to create my own buttons in photoshop that satisfy both requirements. Lesson learned? Test now, test often, and test on every device / operating system you can.